Leaves no marks on the surface. *Gives Luxurious Wooden Blended Look. 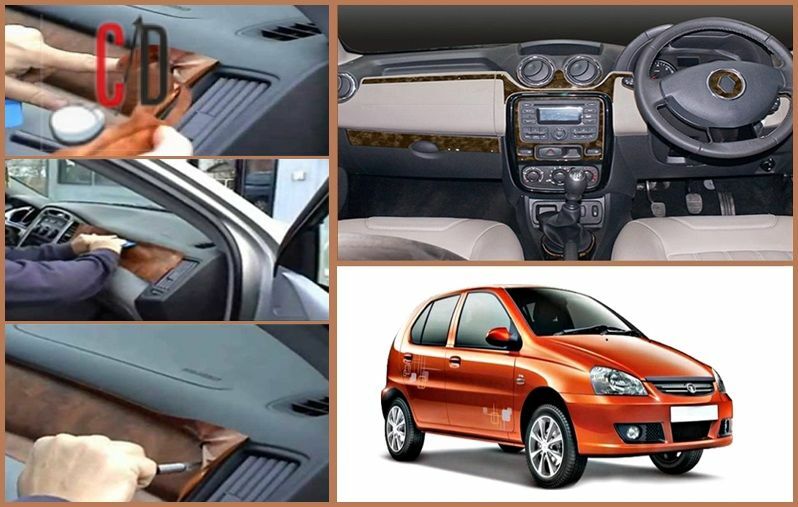 The dashboard trims are high quality dashboard panels to give your car interiors the unique look it deserves! These are manufactured using only superior quality automotive grade films, inks, adhesive and high end doming technology. The company has achieved a unique lens effect by casting Crystal Clear Polyurethane Resin on the desired surface into a domed shape, thus magnifying the print or design, widening its angle of visibility, giving an added depth and brightness to colours.AutoGraphix is a known brand for Interior Car Accessories and is a leader in manufacturing of Interior Trims.